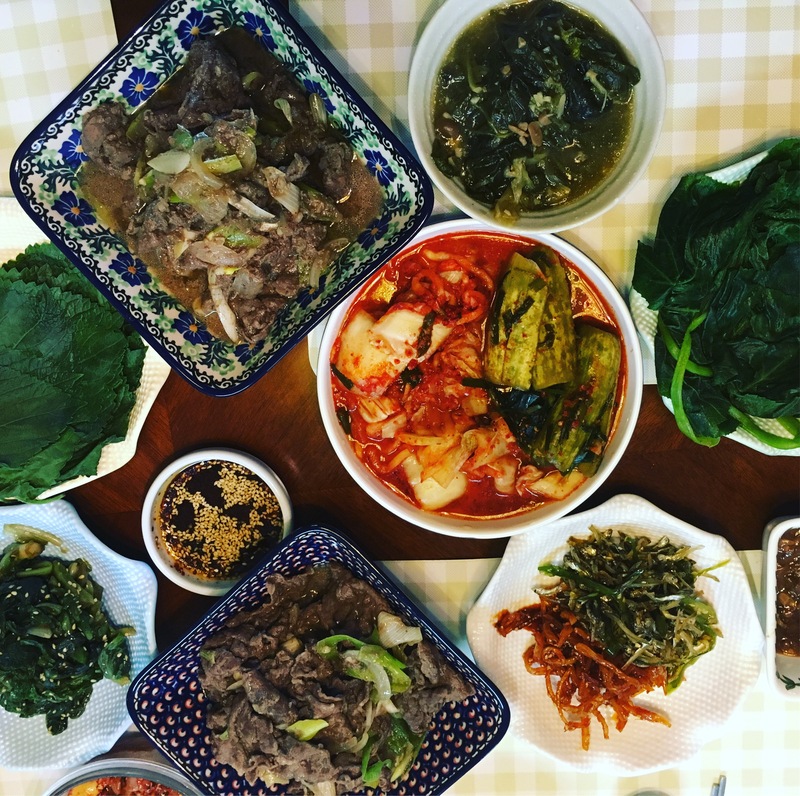 We get to visit Korea (yes, South Korea) only once every 2-3 years. I’m from Busan, the second largest city in Korea. 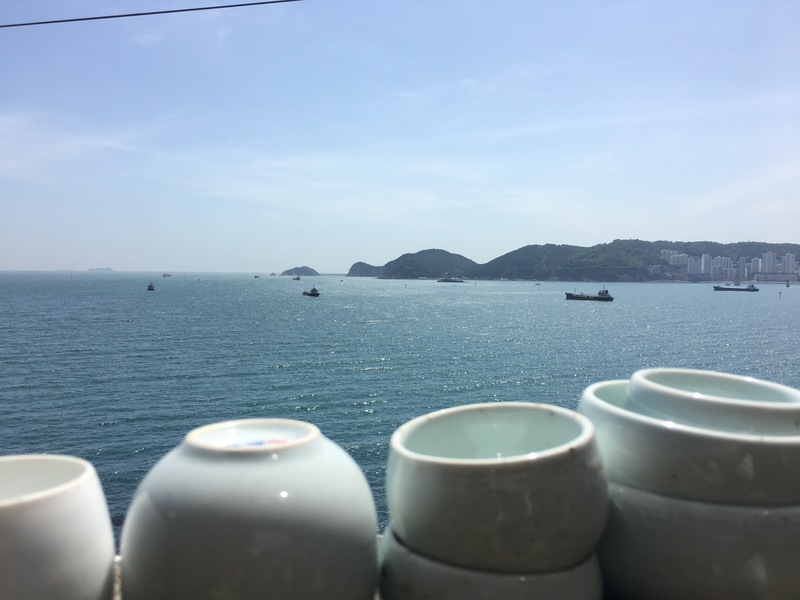 This time, we were there for my sister’s wedding so we stayed around Busan the whole time. 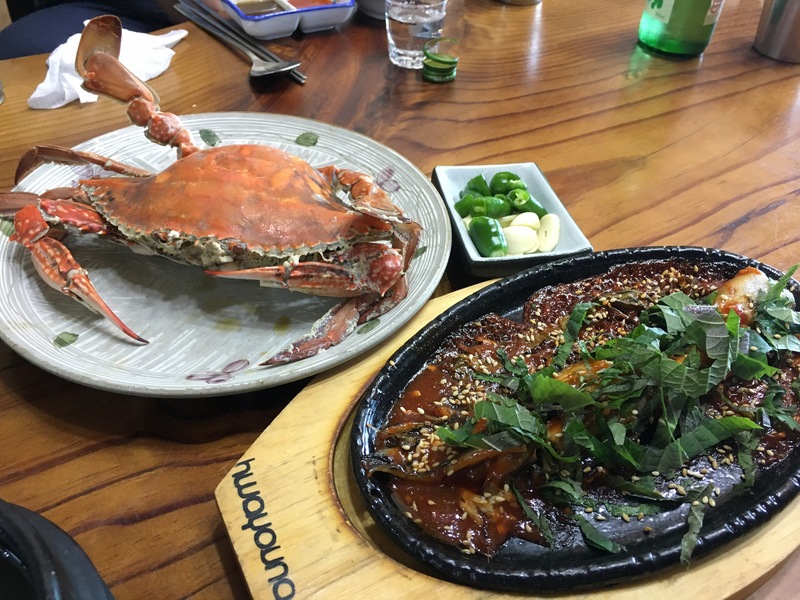 Seoul is fun but I think I’ve come to like Busan more. I definitely enjoyed every single moment, every bite. 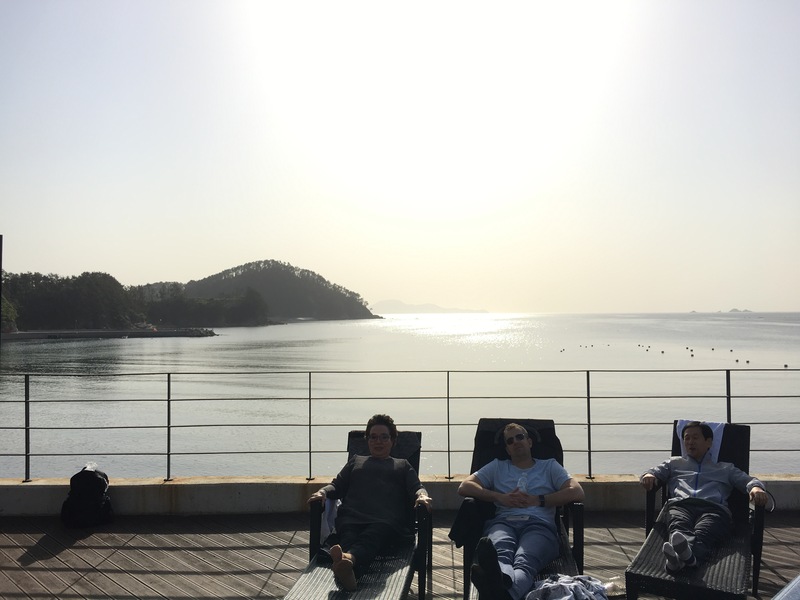 Well, right after we got off the airplane, we went to Geoje Island for a family trip. 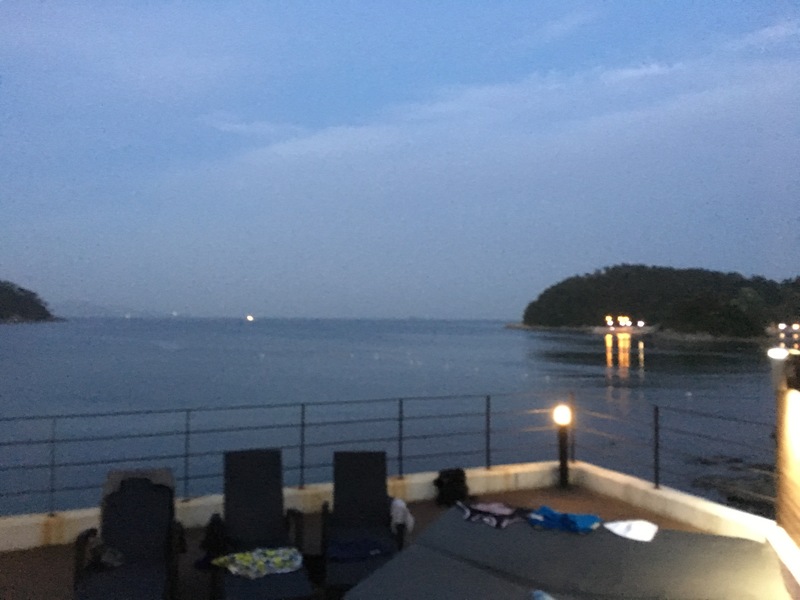 We lucked out with this beautiful resort, Hiclass Geoje. Playing in the pool means HANGRY people! 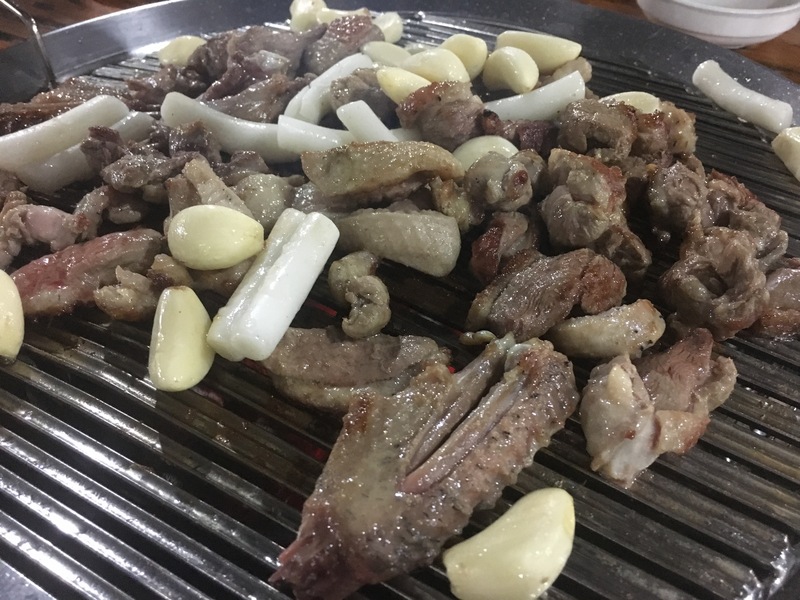 There’s nothing like stuffing your face with BBQ meat and soju on a vacay! 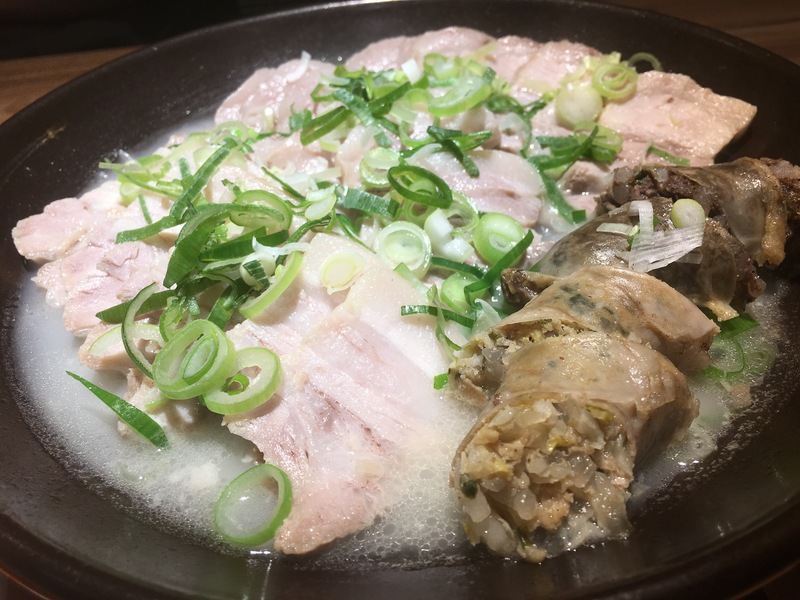 Dwaejigukbap: pork and rice in pork-base broth. Busan is well-known for having awesome DJGB! 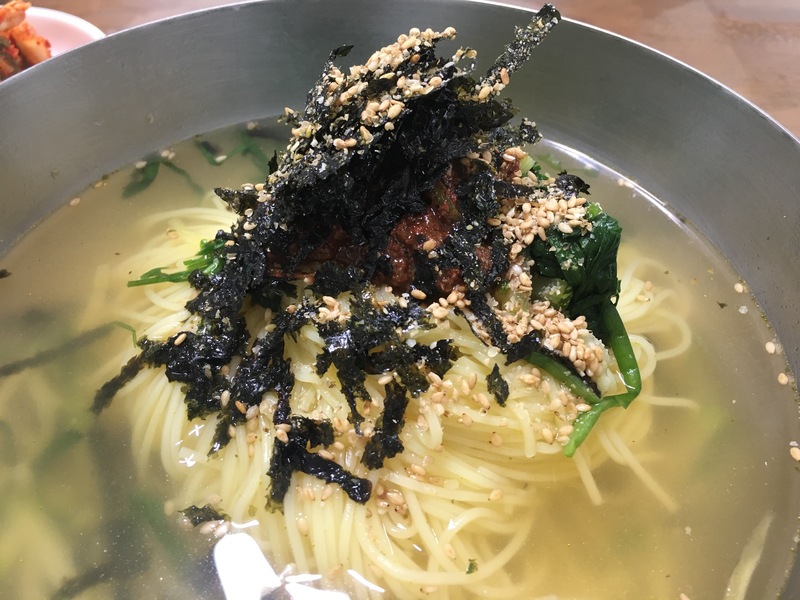 Guksu: Korean style noodle soup. 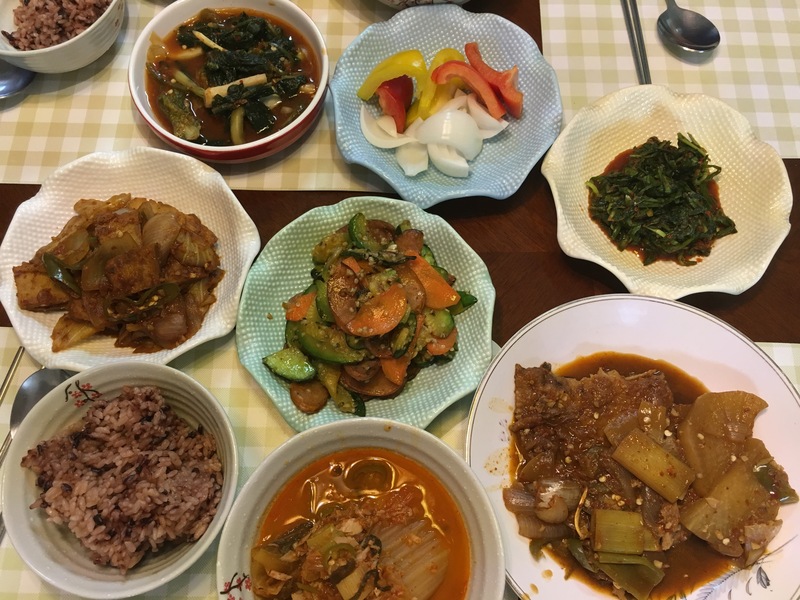 It’s quite easy to make it at home but I have a go-to place in Busan. Never disappoints. 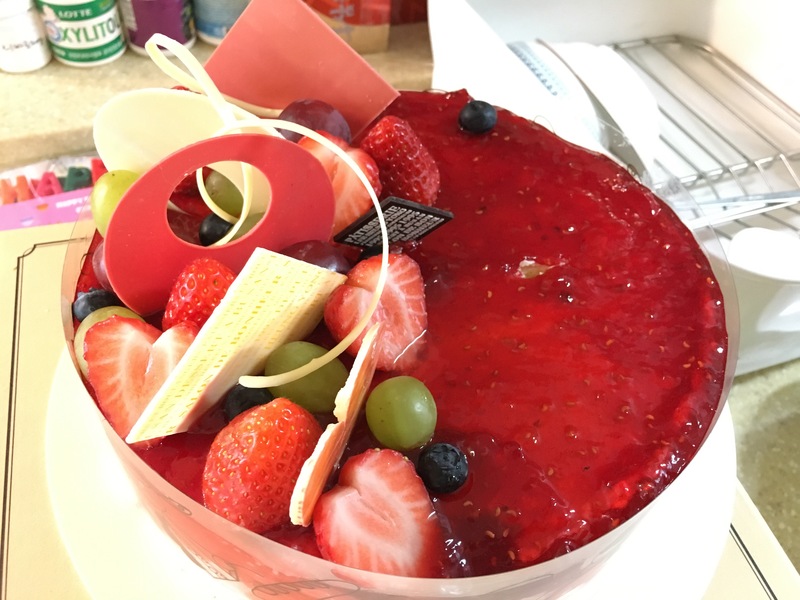 Fruit cakes are a thing in Korea I’d say. 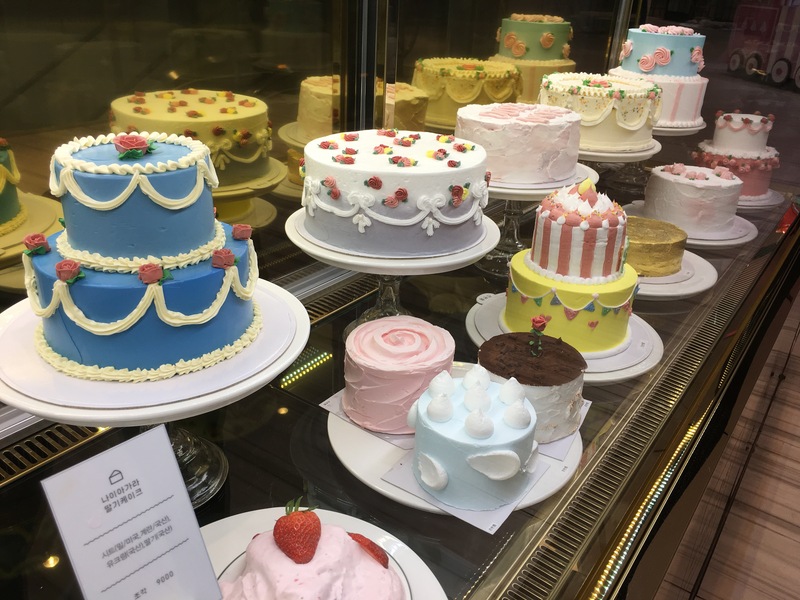 Cakes are so pretty that I sometimes don’t even wanna eat them😂 Do they taste as good as they look? Heck yeah. 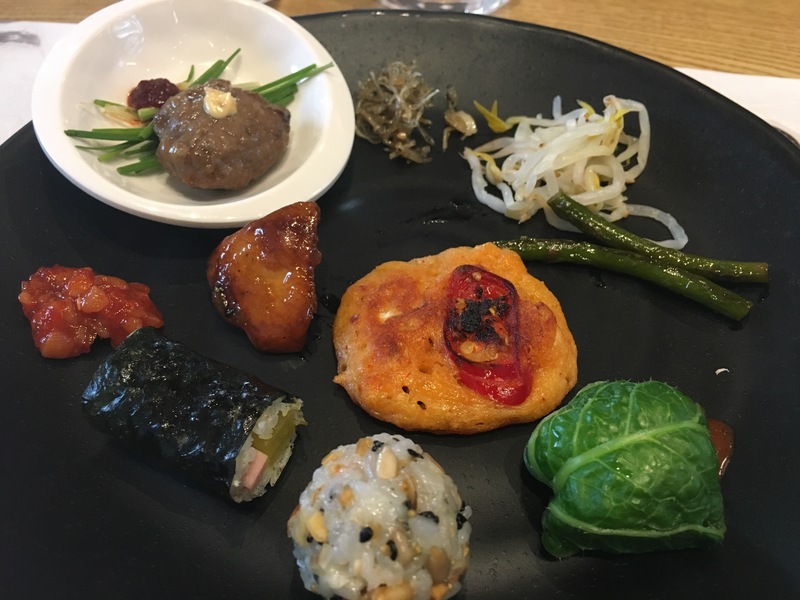 앙꼬절편, some super famous rice cake! In Korea, things change very fast. There are a few VERY trendy items whenever I visit Korea. 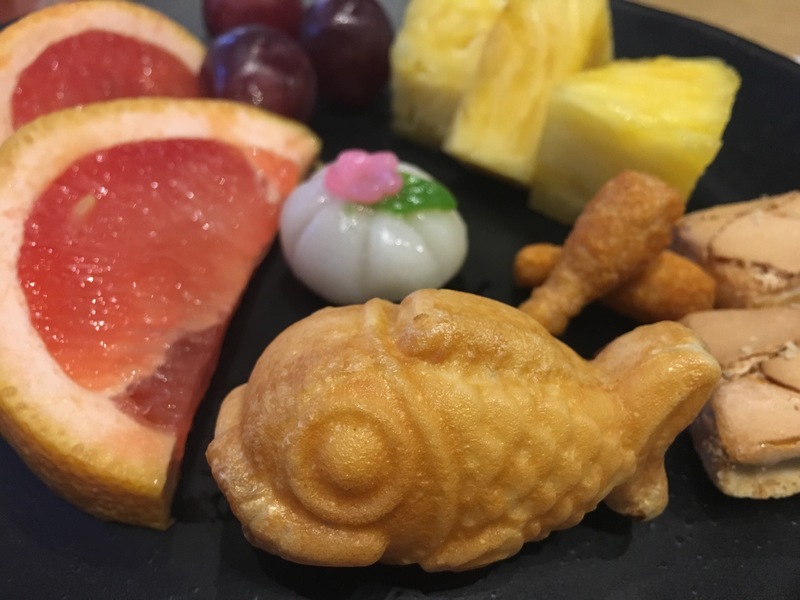 This time, at least in Busan, this thin rice cake filled with sweet red bean paste was a hit! Mommy’s hangover soup! 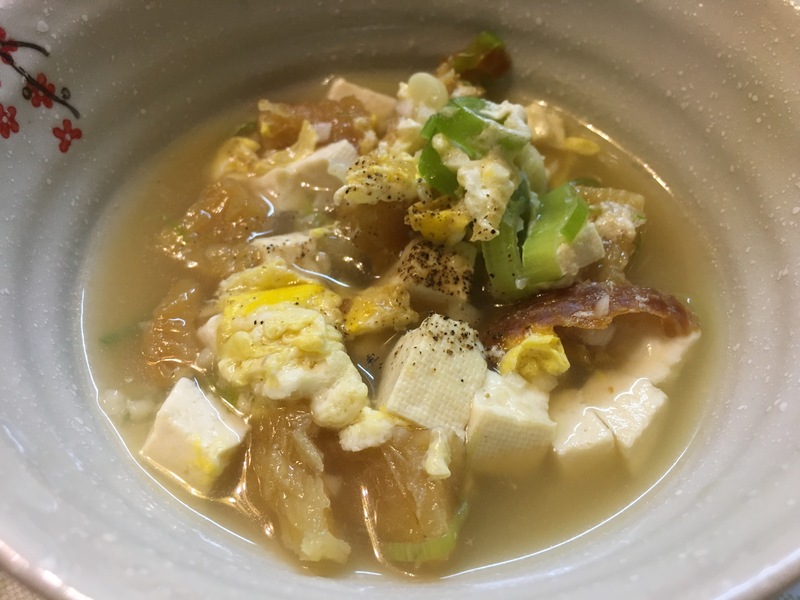 This dried pollock soup, aka bugeoguk (‘guk’ means soup), is the ultimate remedy for bad hangovers. My mom loves to add ground black pepper at the end. 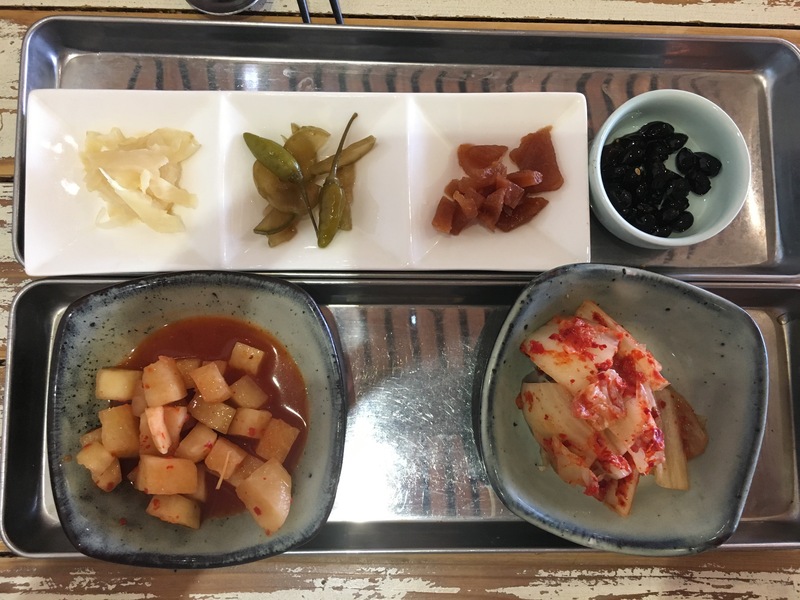 Kimchi pancake and makgeolli! 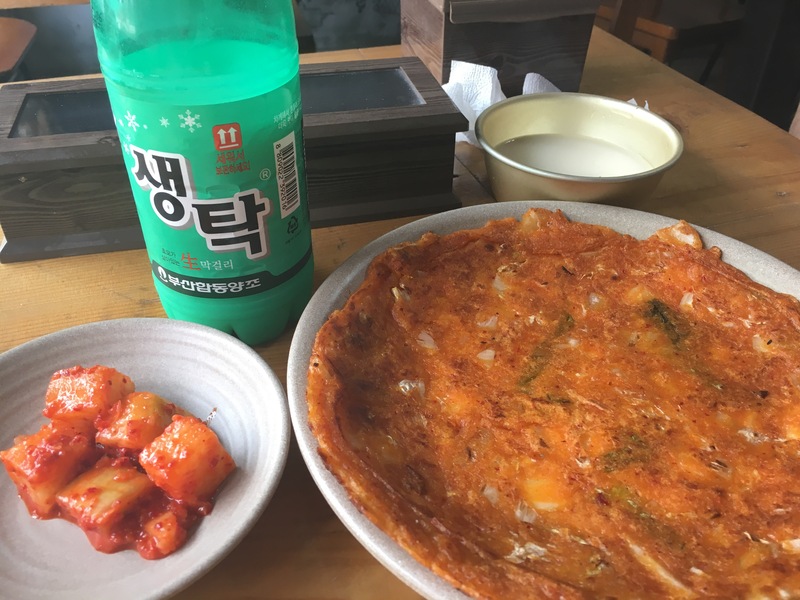 The salty, crispy kimchi pancake goes perfectly well with the sweet rice (alcoholic) beverage. It’s pretty easy to get korean style pancakes in the States now. 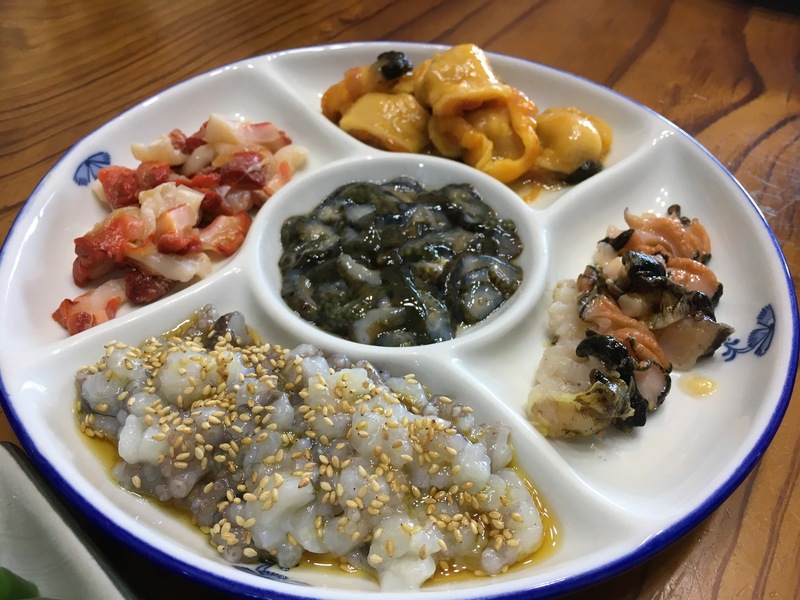 I definitely recommend you order one of these next time you are at a Korean restaurant. 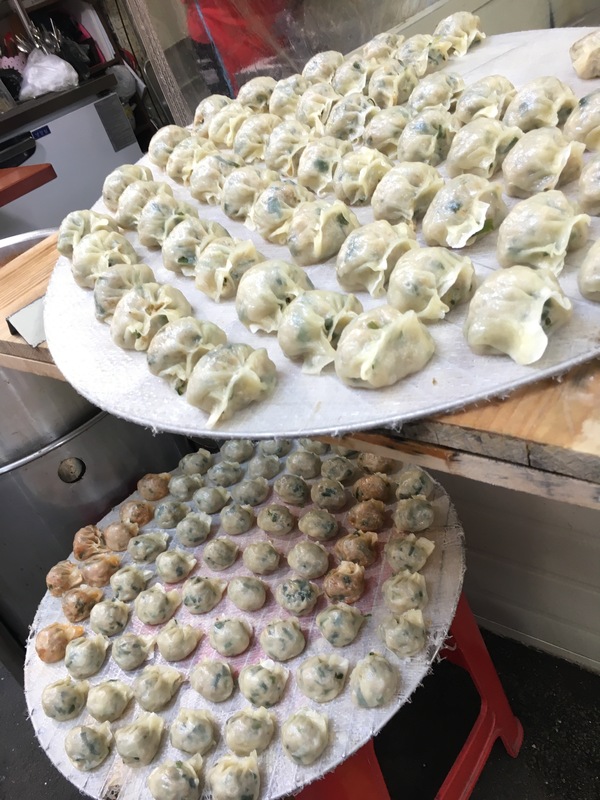 Handmade dumplings. You easily run into these big batches at any market places. 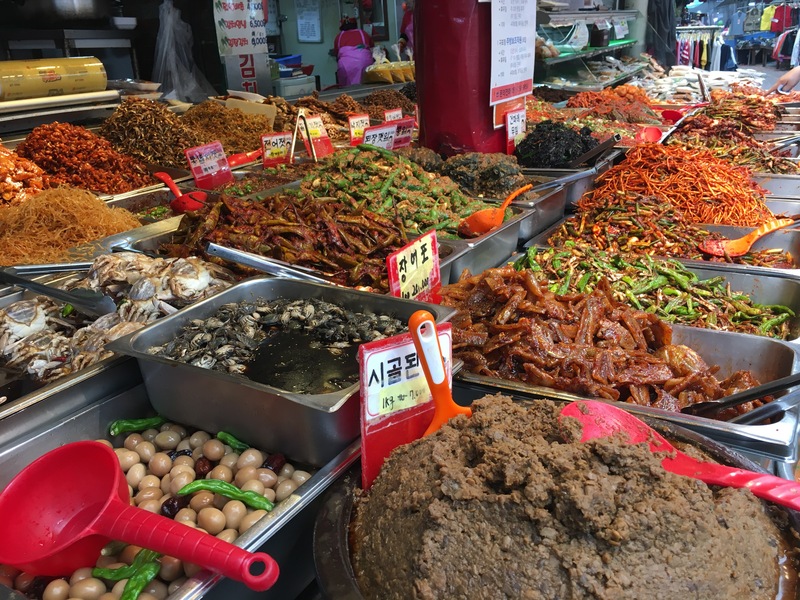 Speaking of markets, I just LOVE walking around them and looking at all these delicious snacks, sauces, etc. 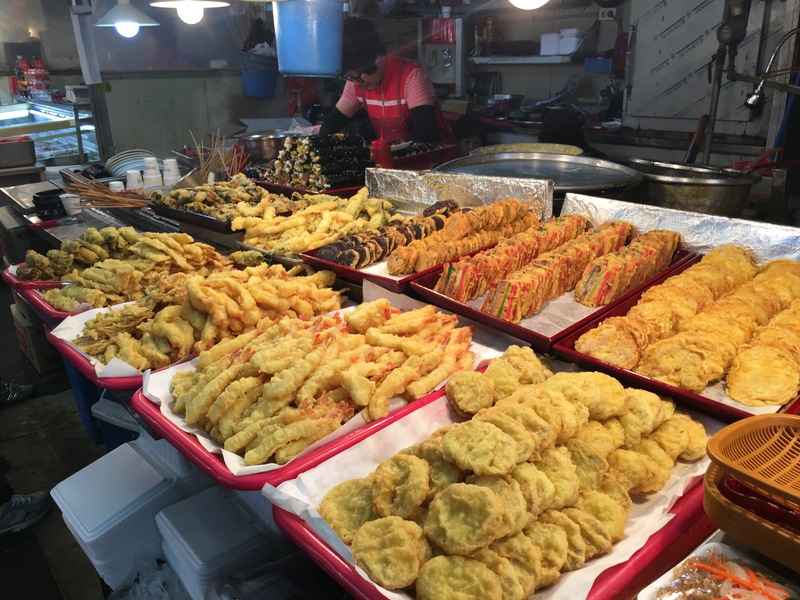 Tempura style snacks: battered and deep-dried. Everything tastes great when fried! 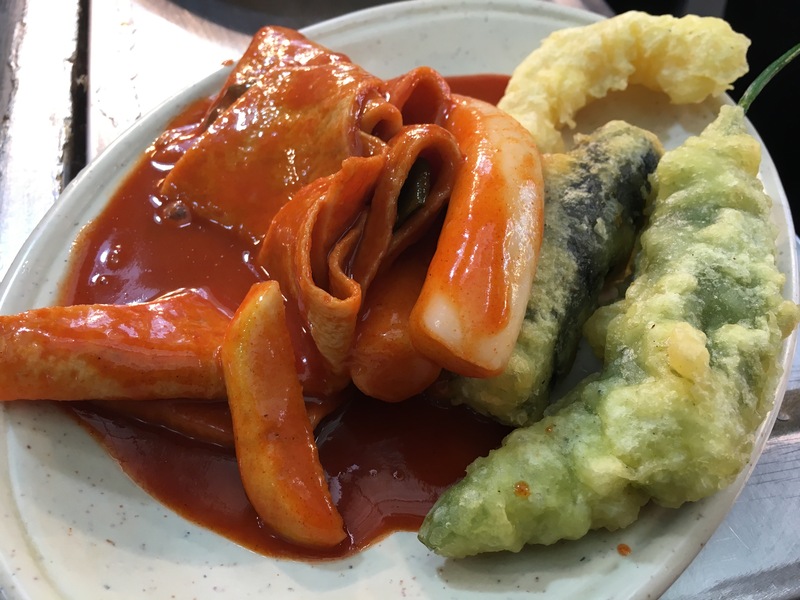 Tteokbokki, rice cake and fish cake in spicy gochujang (red chili paste)! If you dip that deep-fried stuffed pepper in the red sauce and have a big bite, I guarantee you that there will be a party in your mouth. 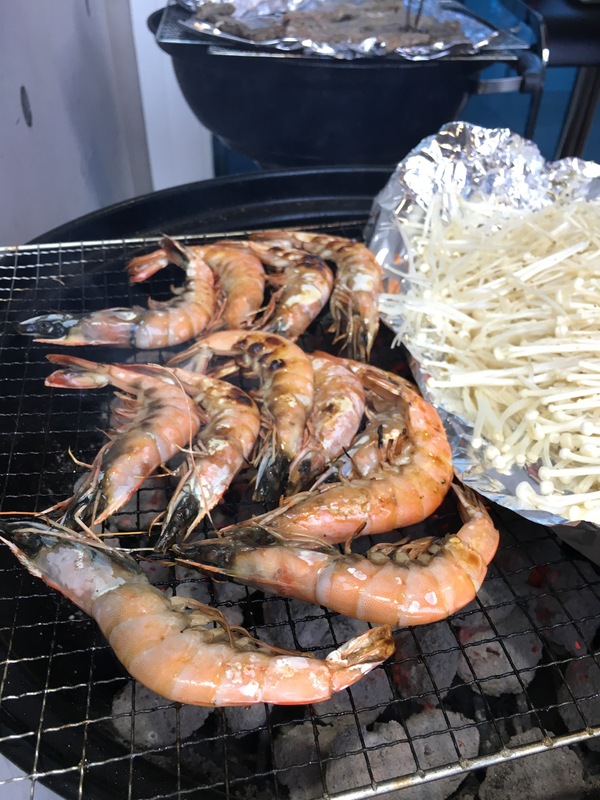 One of my favorite street food dishes! 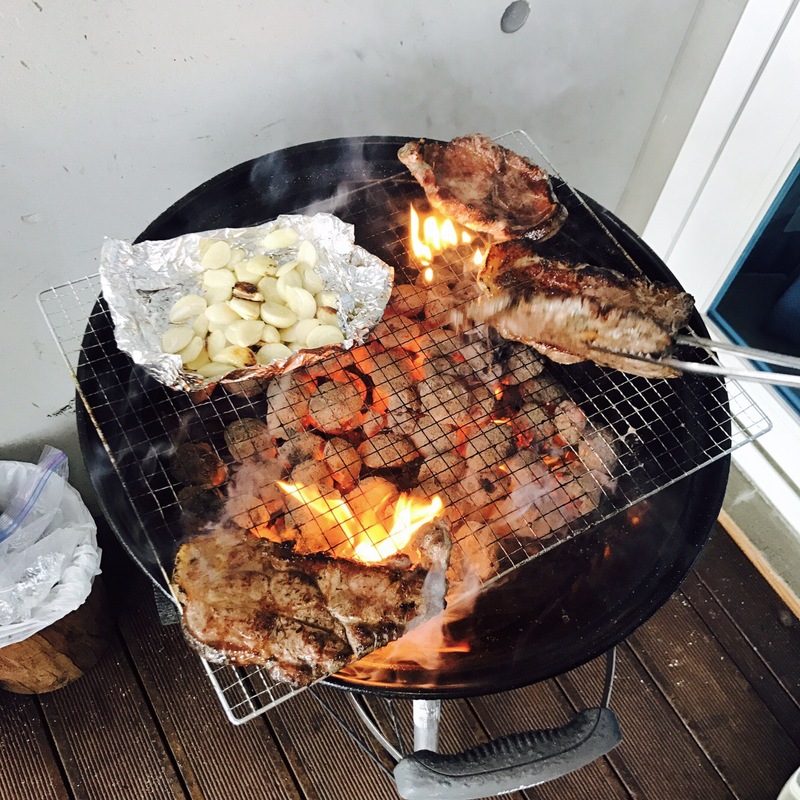 Korean beef BBQ….! We went to this butcher’s/restaurant, where you pick your own meat. You take what you have picked upstairs and they give you this tableside grill along with a variety of side dishes. 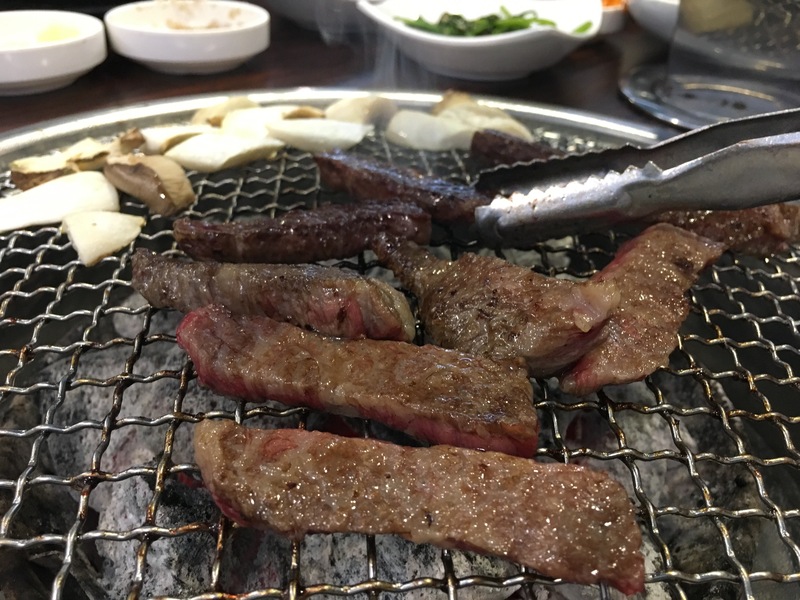 Locally grown Korean beef just melts in your mouth. Duck BBQ! No marinating, no seasoning. Just some fresh duck meat and lots of garlic! Bar food aka anju. 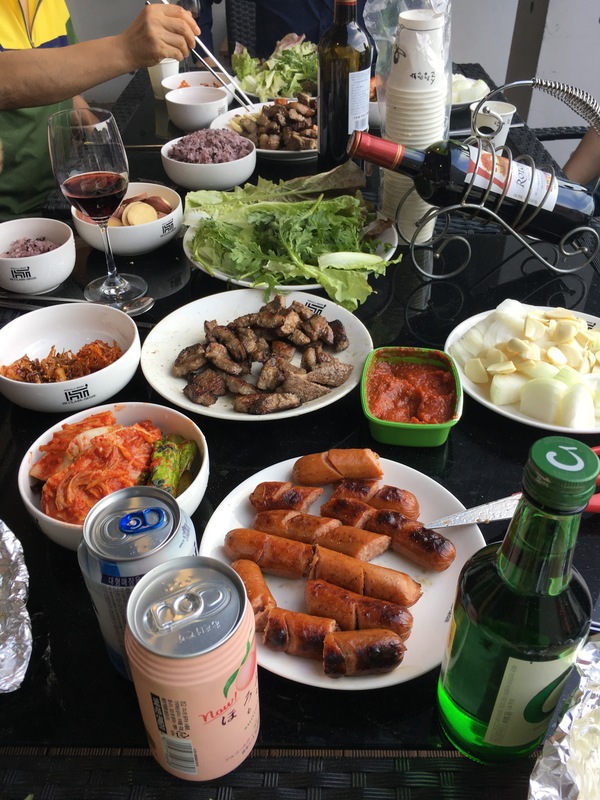 One great thing about drinking in Korea is that you keep eating while drinking. Your bar food selections are amazing too. 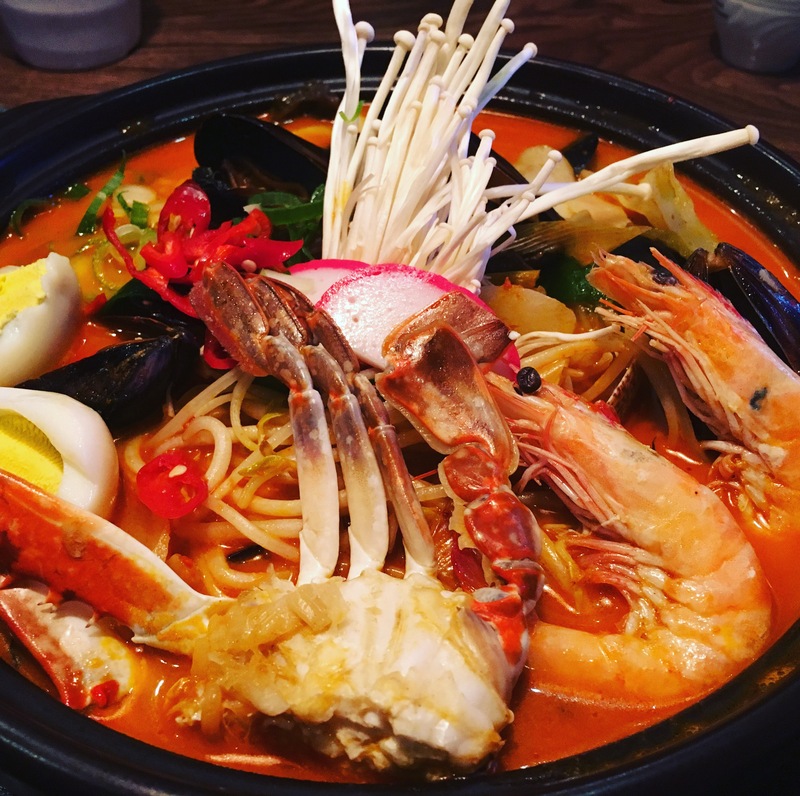 This seafood noodle soup was perfect with our sake! Also, you can drink pretty much all day/night in Korea. A great place for party animals. 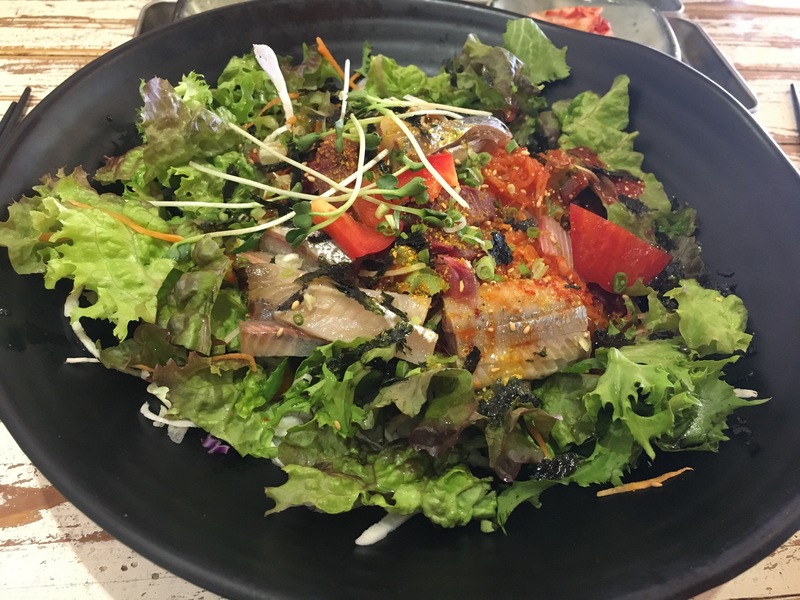 Sashimi bibimbap and gukbap (‘bap’ means rice). 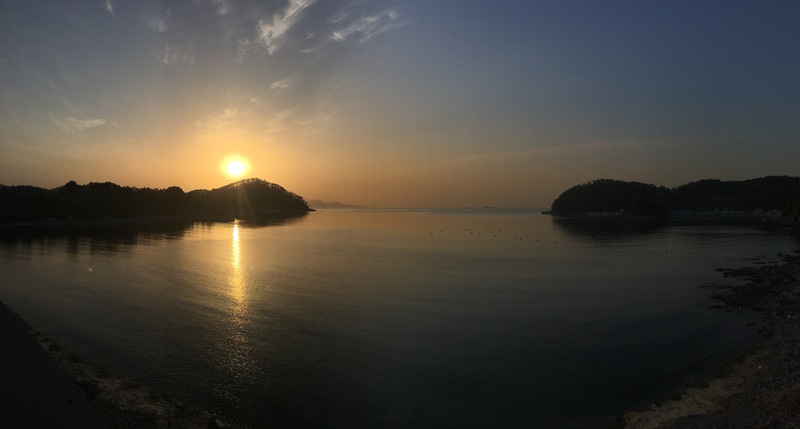 We went to this old, quaint village by called Huinyeoul Cultural Village by the ocean. Right before we walked around the hilly alleys, we went to this restaurant and had an amazing lunch. Not too heavy or light. Fresh fish and lots of vegetables. Then, more street food! 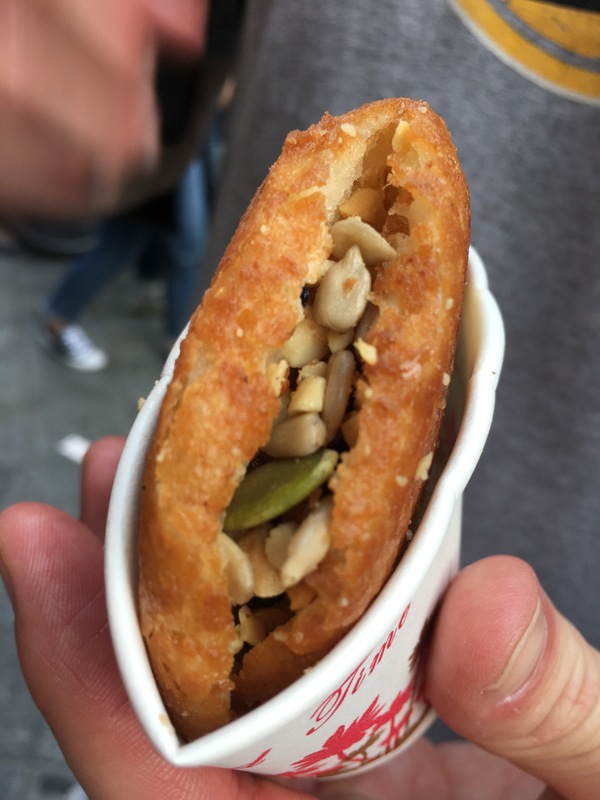 Hotteok is like a mini pancake filled with brown sugar and nuts. My brother-in-law’s favorite snack it is. 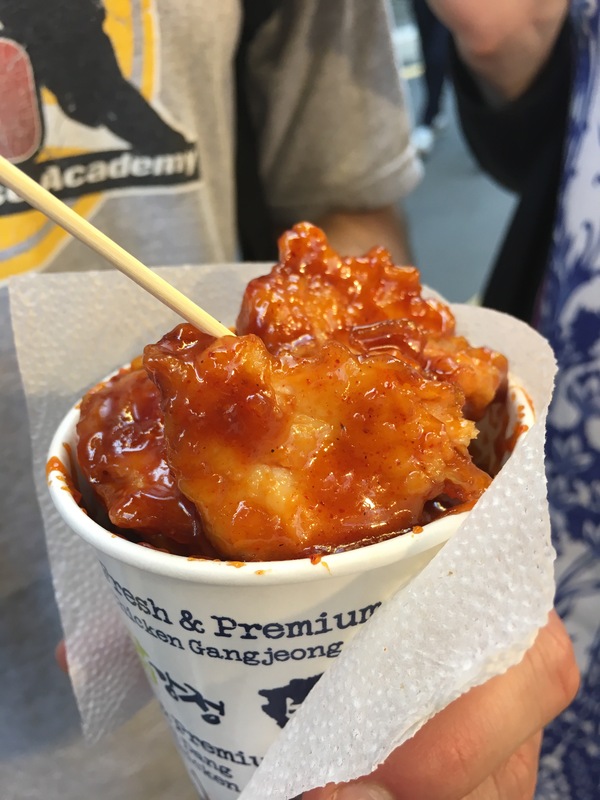 Dakgangjeong is Korean fried chicken covered in spicy sauce. 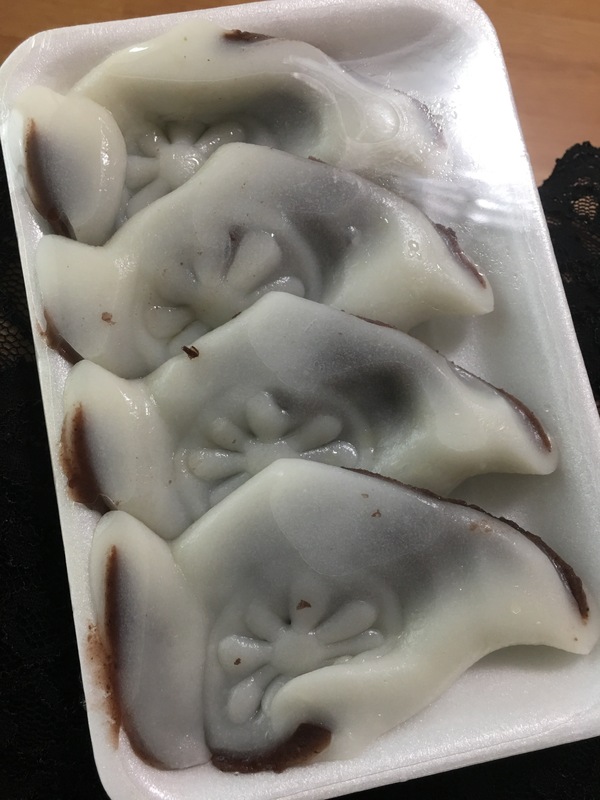 They are usually in a bite size so it’s easy to eat them while exploring busy streets of Korea. S. O. J. U! 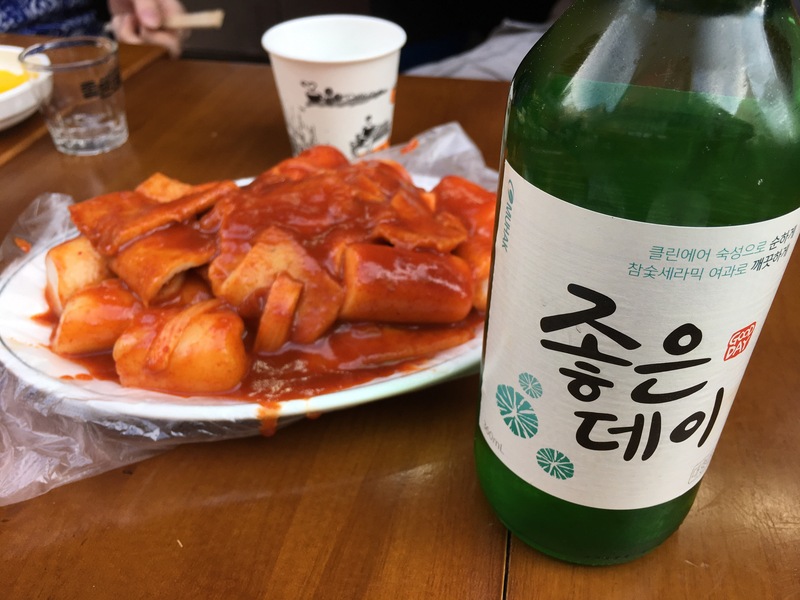 This liquor is found everywhere in Korea. Super cheap. Each city has its own so it’s another fun to try different kinds. Rice gelato! Yes, I said rice. Centum City is a huge mall located near Haeundae beach. There, I found this mysterious flavor and I fell in love right away. 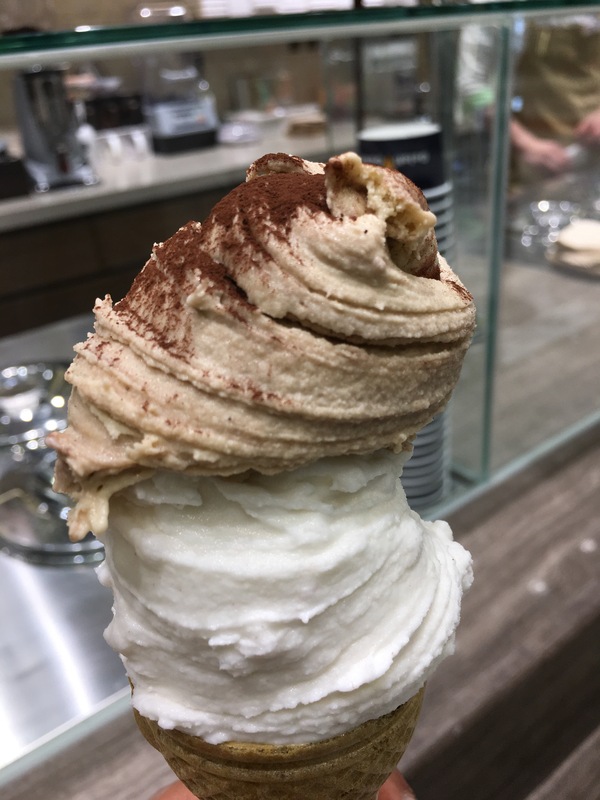 The combination of tiramisu and rice flavor was oddly satisfying! Cakes, cakes and cakes! Too pretty. 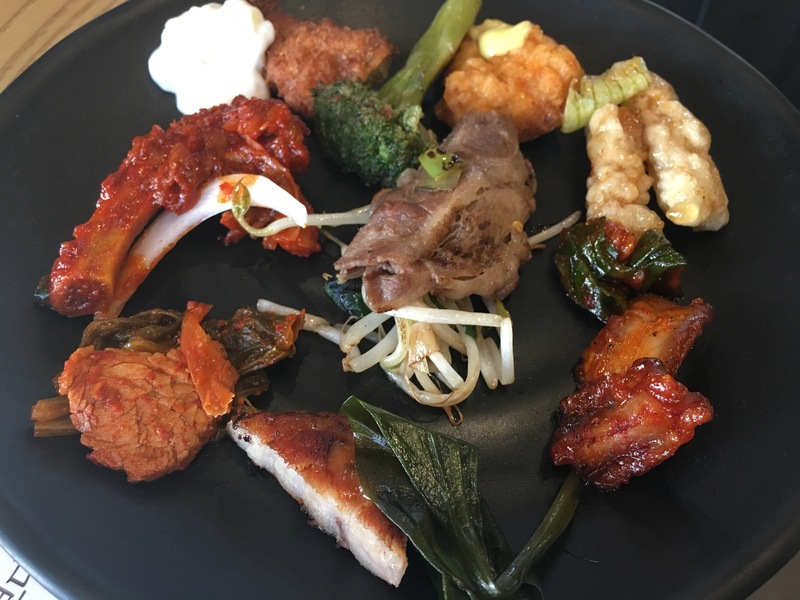 All-you-can-eat korean buffet! You pay $25 and just go to town. Amazinglicious! 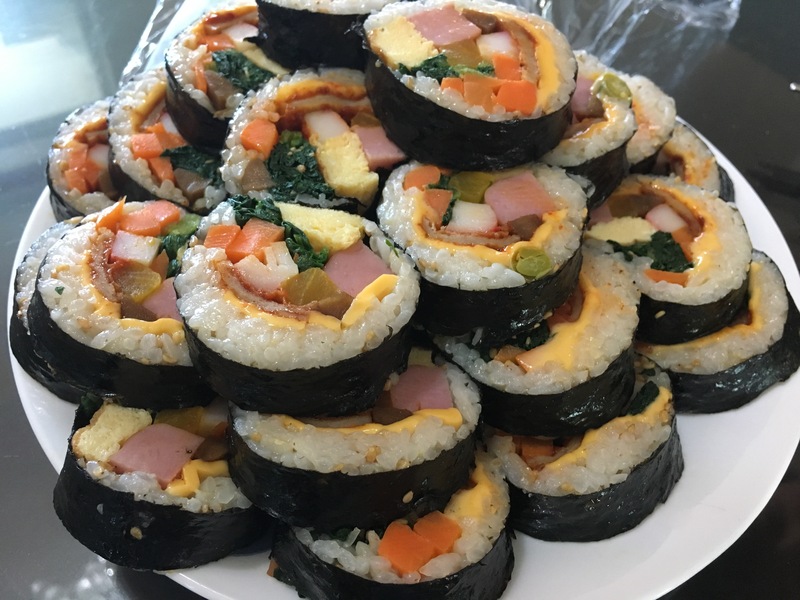 My aunt’s scrumptious gimbap…! This is one of the things that I definitely miss a lot. 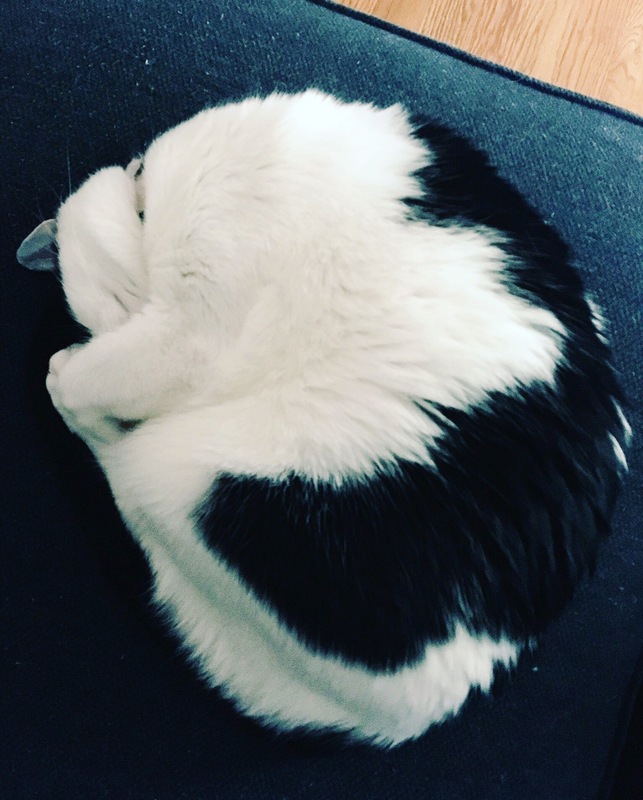 I don’t know what she does to it but we all love her rolls. Very addicting! 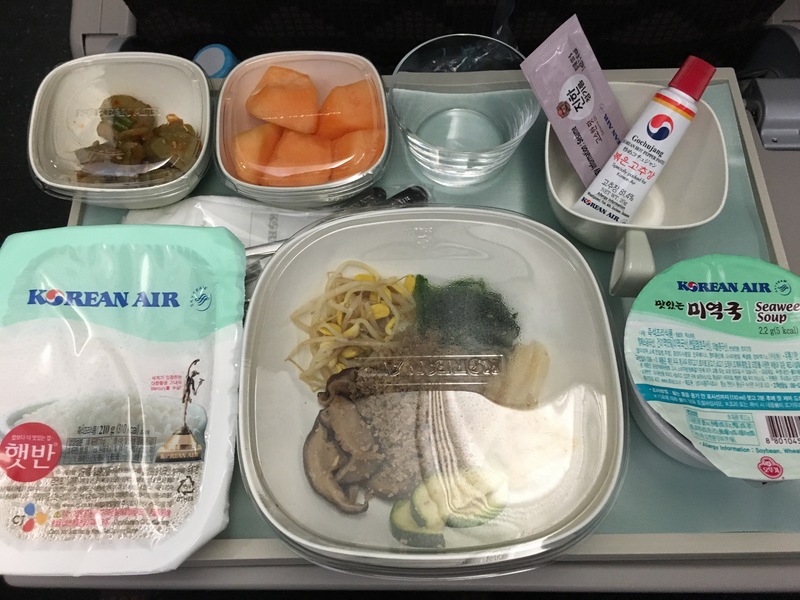 Lastly, meals served on Korean Air! In-flight meals are usually awful but I actually do enjoy eating what Korean Air serves. 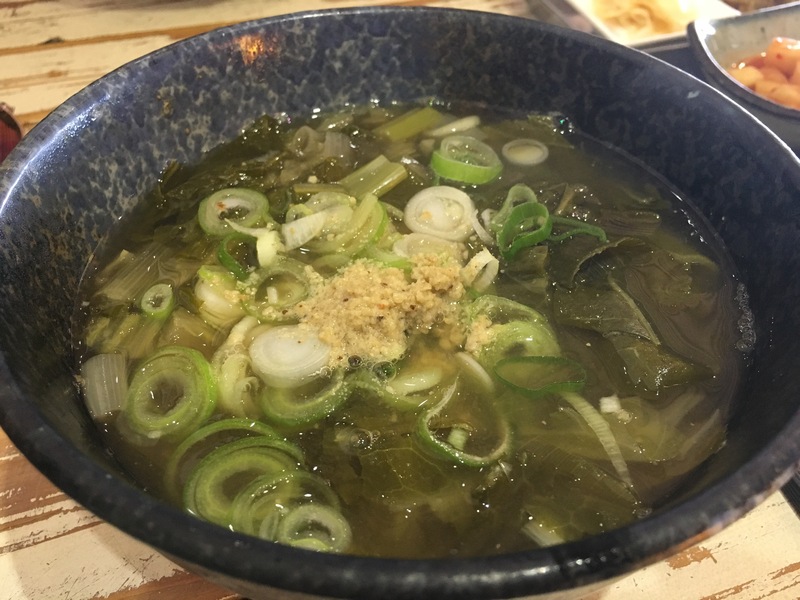 On the way to Korea, the lunch was bibimbap with seaweed soup. 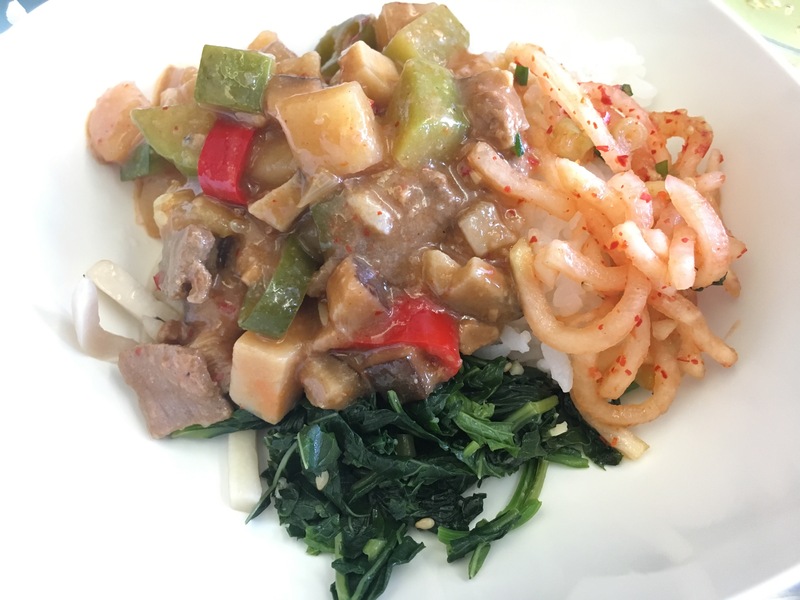 On our way back, it was rice served with doenjang (korean miso, if you will) and veggies. 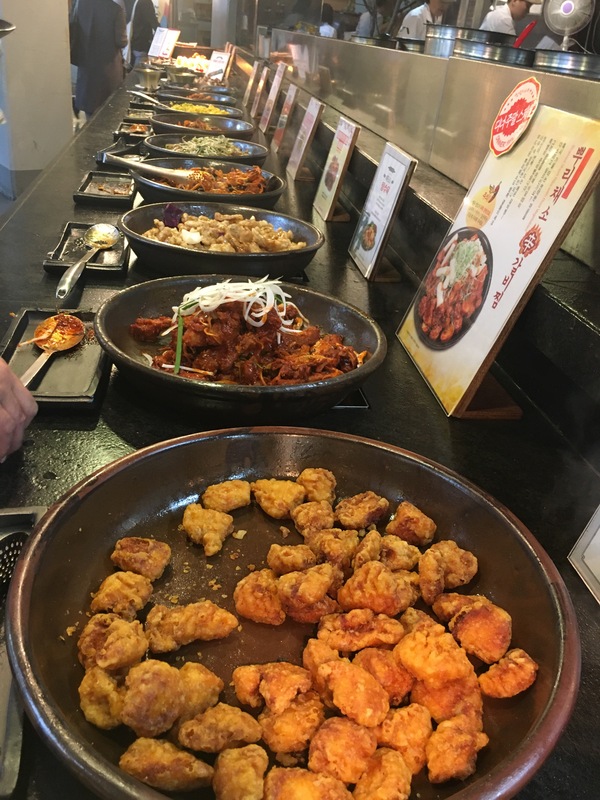 Our trip to Korea this time was a bit too crazy between the wedding and some personal issues. I am not complexly confident that I ate everything I wanted to. However, it’s always so much fun to go out there and spoil myself with endless eating and drinking. What’s surprising is that I somehow lose weight despite all of that..! I guess it’s the lifestyle. I did have a great time in Korea, but it’s good to be back home with my kitties. So, Korea, till next time!